Sign Up for free to save time shopping Chong's Choice's wholesale products on LeafLink. 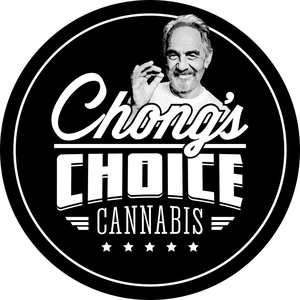 "The choice of a legend"
When you hear the name Tommy Chong you immediately think of Cannabis. As one-half of the legendary comedy duo Cheech & Chong he helped pioneer a completely unique brand of comedy directed at the counter-culture movement of the early 70’s. The pair came to define a generation of young entertainers and single-handedly launched the genre of Stoner Comedy. And at the heart of this brand of entertainment was, of course, cannabis. On screen and off Tommy became a vocal advocate for his favorite herb. In a time where cannabis had to be talked about in whispers, Tommy was a loud voice for the advocacy movement, working tirelessly to destigmatize the use of this healing plant. Now that society has moved in a more positive direction regarding the medicinal and recreational use of cannabis, Tommy’s voice continues to ring out loudly, touting its benefits and place in society. His message has never changed, and his passion has remained as strong as it was on stage many years ago. Now Tommy is thrilled to share that passion and knowledge of cannabis with the rest of the world. Using his lifelong connections in the industry, he has made it his personal mission to share the very best product available with his fans and fellow herb connoisseurs. If anyone knows weed, its Tommy. And now fans of comedy and cannabis alike can experience the strains and products that Tommy himself has hand selected. There really is only one choice, Chong’s Choice. Chong's Choice premium concentrated 1.25gram pre-roll; all-flower joint infused with a 1/4 gram of keif. Chong's Choice premium concentrated 1.25g pre-roll; all-flower joint infused with a 1/4 gram of keif. Cherry Pie's origins come from Granddaddy Purple and Durban Poison. It is an Indica. Sunset Sherbet is an Indica-leaning hybrid.